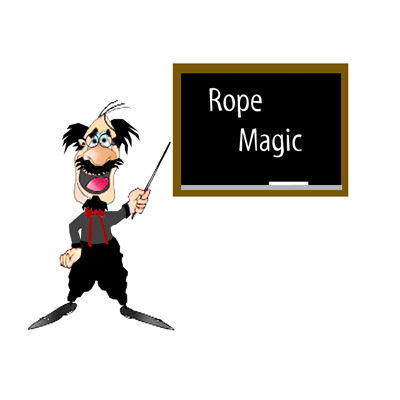 A classy classic effect!During his show, the performer notices a piece of rope hanging out his sleeve. He pulls on the end of the rope and it just keeps coming out until there is 50 feet of rope lying on the floor at which point it gets stuck. He looks down and finds the other end of the rope in his left trouser leg. When this end is pulled, the rope from the sleeve travels back up and out the pant leg until it gets stuck again! Another end is discovered in the right pant leg and when this is pulled the rope again travels all the way through but gets stuck at the end! Frustrated, the performer finally gives the rope a hard tug and everyone is surprised to see a very "loud" pair of boxers hanging off the end of the rope! Although three ends were seen in the routine, you are left with only two...one of which is now dangling the shorts!Comes with everything you need: rope, shorts, secret gimmick (which makes this classic effect much easier to set up and perform at anytime) and detailed instructions.